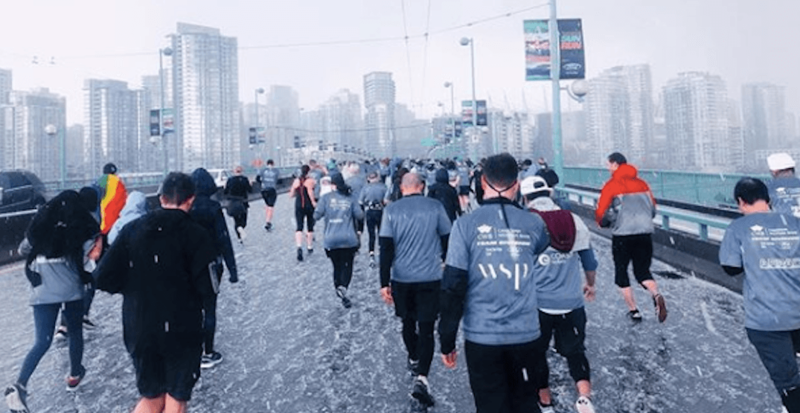 The 35th Annual Vancouver Sun Run took place in downtown Vancouver on Sunday morning, and while the word sun might be in the title, those who participated this year experienced something decidedly different. During the event, a hailstorm seemed to come out of nowhere and unleash on the city’s downtown core, pelting runners and spectators alike. Upwards of 40,000 participants were expected to take part in this year’s run. And while there is more rain in the forecast for this week, it remains to be seen if we’ll get another surprise visit like this from Mother Nature.